Join us to hear words and music of courage and resilience to empower us to continue to stand up against bigotry and prejudice. We’ll take action and take part in creating a powerful message through art. Visit action tables (list of participating organizations below) and take part in a collaborative art project about what freedom means to you! Until 3pm: More Action Time! The executive order that Donald Trump signed last Wednesday is not a solution to the crisis created by his administration; it keeps kids imprisoned indefinitely, and doesn’t reunite thousands of separated families. But it does show the administration is reacting to public pressure, so we will continue to increase our pressure for justice at hundreds of events on Saturday, June 30th, to say that families belong together—and free. Let us stand together to protest the inhumane and un-American treatment of children and families at our borders. Co-sponsors include Four Freedoms Coalition, NAACP-Berkshire County Branch, Action Together Massachusetts, Bard College at Simon’s Rock, Berkshire Immigrant Center, Indivisible Pittsfield, and more. Please contact us if your organization would like to be a co-sponsor: 4freedomscoalition@gmail.com. 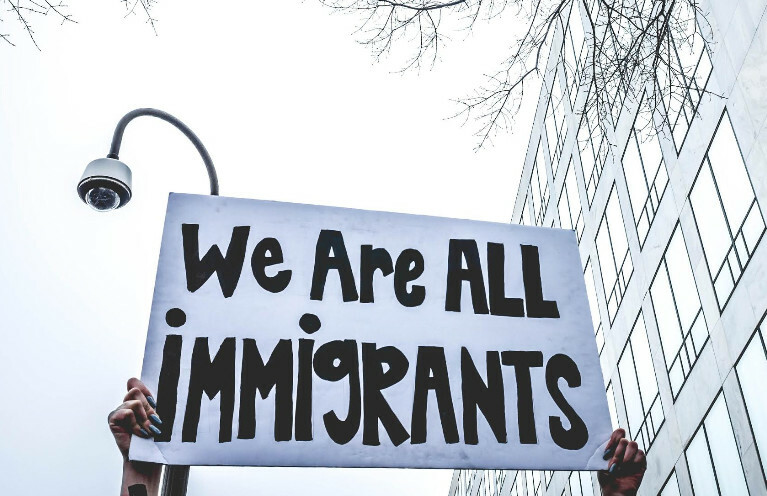 Join the Four Freedoms Coalition for a peaceful demonstration this Saturday in support of immigrants and against the dangerous and inhumane policies promulgated by the current administration. All are welcome. Signs are encouraged, but please no sign posts. Join us Saturday, January 7th, in downtown Pittsfield to recommit to upholding the true American values embodied in the Four Freedoms and to oppose bigotry and prejudice. Note that the northbound lanes of North Street will be closed beginning at approximately 12:30pm to accommodate the march, so plan accordingly. The march steps off at 1pm heading south. Dress warmly! Attendees are encouraged to bring signs, or create them on the spot (paper and pens will be provided) but are asked to keep them non-partisan in nature. Also, Pittsfield law forbids sticks on signs, so plan on either holding them in your hand or you may bring string and wear them around your neck. The march concludes at First Church of Christ at Park Square, located at 27 East Street. The speaking program will be held there indoors beginning at approximately 1:40pm. Each speaker is scheduled to speak for 3 minutes. If you are unable to or do not wish to march, you may go directly to the church for the rally program. Afterwards, from 2:30pm-3:30pm: it’s action time! Join us in the community room where over 30 Four Freedoms Coalition partners will have action tables where you can sign up to volunteer with the issue you re most passionate about. We ask that each attendee commit to one concrete action in our community after the rally.